The Finest Remodeling Contractor serving Chicagoland. Welcome to Daniel Henry Builders, Inc.
For nearly 15 years, Daniel Henry Builders, Inc. has offered full service home remodeling to Chicago and the surrounding suburbs. With hands-on tradesman and craftsmanship experience that reaches back over 25 years, owner Daniel Krueger has the ability to oversee home remodeling projects in their entirety, from concept to completion. Knowing homeowners prefer a company that builds a solid relationship with them, Daniel Henry Builders proudly offers a comprehensive solution for your upcoming remodel. From design to permitting to construction, we can handle every phase of a major home remodel, even the electrical and plumbing work. 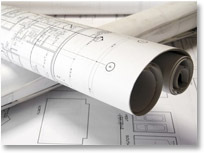 Design-build contracting is what makes our service personal and extremely efficient. You won't be forced to interact with multiple contractors, keeping our work true to your vision and allowing you to build your confidence in us. Learn more about Daniel Henry Builders by visiting the Remodeling Services page. View some of our best work in our Remodeling Gallery on our Completed Projects page. La Grange, Western Springs, Hinsdale, Downers Grove, Orland Park, Palos Heights, Frankfort, New Lenox, Homer Glenn, and more.